Prior this week, director Kevin Smith joined teammate, Marc Bernardin, to talk about the most recent news in popular culture on their show Fatman Beyond. One point they concentrated on was the ongoing trailer for Spider-Man: Far From Home. The two men were loaded with theories, including when the Marvel film as far as anyone knows happens. “Amy Pascal, one of the producers on the Spider-Man movie, she used to run Sony, she said in 2017 Spider-Man: Far From Home takes place, starts, moments after Avengers: Endgame is over,” Smith explained. “But, possibly, takes place before Infinity War begins. She didn’t say the second part,” he clarified. “That came from the Internet.” He continued to explain what that means for the story and the MCU timeline. 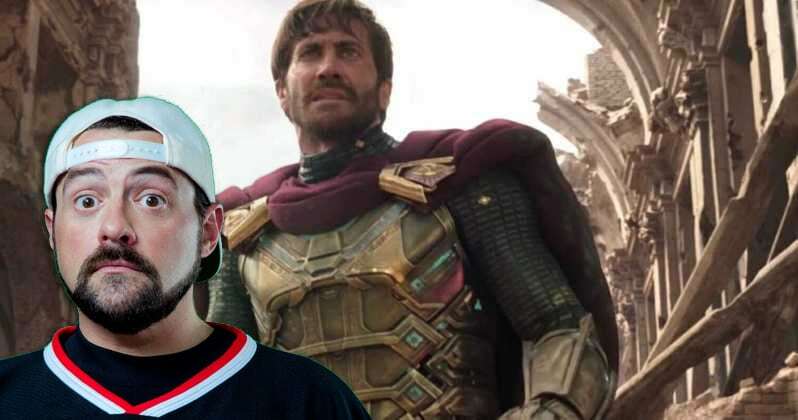 COULD FAR FROM HOME TAKE PLACE BEFORE INFINITY WAR? However, Bernardin had his own ideas about the timeline, and Smith was very into it. “I was thinking that Far From Home ended where Infinity War began with Peter, and that on the bus they’re coming home from the airport from London and that’s when—-,” Bernardin shared before Smith’s shocked face interrupted him. “Did you just come up with that now?,” Smith asked. Before discussing the timeline of the film, Smith also shared his thoughts on why Peter Parker doesn’t want to take his Spidery suit to Europe. To learn more about Smith’s thoughts on the trailer, click here.